(April 2004) The world of independent film has become big business in the last ten years; so much so that the term “independent” is a bit of an anachronism. Films such as the “Lord of the Rings” trilogy are being categorized by the Motion Picture Association of America (MPAA) as “subsidiary/affiliate” releases and by the American Film Marketing Association (AFMA) as “independent film”. The one-time association of independent film as “art film” has turned largely into a gray area where the demarcation between studio and independent production is hardly discernible. What was formerly a niche area, has become mainstream with arenas for exhibition--the film festival market--dotting the landscape. On what appears to be a weekly basis, new festivals sprout from no where, promising to be bigger and better than their predecessors. Many model themselves on Sundance or Cannes; some try to be Toronto or Berlin. While claiming to be unique, many have become marketing arms for tourism development of the local Convention and Visitor Bureaus (CVBs) or Chamber of Commerce. The filmmakers and their work are not always the driving influence behind why a festival is created. And ego, vanity and hubris, linchpins of the old Hollywood system, are part of the motivation for many working in a quickly oversaturated marketplace. There are over 1,950 film festivals world wide and that doesn’t count the smaller exhibitions that are curated at institutions of higher education across the globe. Many of these spring from foreign language studies departments or film and communications divisions. Few go beyond their target college audience. These add to the mix and in some cases have led to mainstream festivals outside of the academic environment. New England is saturated with festivals and exhibitions. In truth, we are very blessed since there is always something to see and the diversity is great. On the whole, the festivals here support the true independent filmmaker with programming centered on work that would otherwise not be seen in a multiplex. There are a few, however, which are what I’d call “catalog” festivals, building their central programming from work acquired by distributors or even other Festivals like Berlin and Sundance. While the quality is there, it’s a cheat for the struggling filmmaker since their work, if submitted during a call for entries, stands as much chance of selection as a snowball surviving a day in hell. Additionally, these festivals serve as test markets for distributors looking to build buzz before their product is released shortly after the festival. Oddly, despite all of the hype and high visibility, there is a real sense of mystery surrounding the entire festival business. Most people have no clue about the financing, organization and operation of these events. Then there’s the issue of collaboration, cross-promotion and support. Except for some rare instances where personal friendships exist or programmers share ideas, festivals in New England are stand-alone, territorial and highly competitive with each other. The sad irony is that with as many festivals that exist worldwide (and over 500 in the US alone), you’d think that there would be an incentive to work with each other, share resources, address common problems, and even form a trade association. That isn’t the case. Festivals act like mini-Miramaxes, driven by a competitive fervor to be bigger, better and outlive anyone else. I call this the “Highlander-syndrome” where the prize is whichever festival is the last standing. Naturally, someone gets lost in this process and inevitably it turns out to be the filmmaker. Sometimes it’s the audience. Last year a new company out of Los Angeles (with East Coast roots), began looking more logically at the entire festival marketplace. Calling themselves, filmBUZZ, and lead by Kerry Edelstein, Gregory Kahn and Gavin Block, the intent was to provide market research and consulting services for filmmakers. Building collaborations with festivals they began to conduct audience exit surveys, capture and report audience opinion and industry trends. What they found was striking, challenging and remarkable; detailing a vital and growing industry which is just beginning to find its footing. Festivals in our region should take note about their findings and carefully assess its implications. filmBUZZ saw that the proliferation of film festivals was an indicator of the rising acceptance of independent film. Once perceived to be underground showcases, the festivals have become an alternate distribution platform – one which sees in the US alone over $100 million in cash and services exchange hands each year. Kahn and his group found that at the conclusion of 2003, more than 500 US-based film festivals had registered updated contact information with a festival listing service or vendor. In total, more than 1200 festivals maintained active listings globally from a potential list of over 1400. While distributors and producers have historically used festivals as a publicity tool, many independent film professionals have been slow to embrace film festivals as a place of commerce. In the United States, theatrical exhibition deals have been largely focused around The Sundance Film Festival, with an occasional contract negotiated from a larger regional festival. What filmBUZZ learned was that an in-depth analysis of the film festival “circuit”, suggested that this limited consideration of festival fare was short-sighted. They discovered that film festivals presented a pre-established infrastructure that is widely untapped. Audiences at film festivals are actually a valuable resource for information that is largely presumed to be unavailable. They present an opportunity to evaluate new productions, deliver feedback, and even promote future releases. These audiences provide this opportunity across hundreds of unique markets and thousands of unique films, with millions of unique opinions. And most significantly, they found that film festivals and festival-goers are quite possibly the most under-exploited resource in the independent film community. 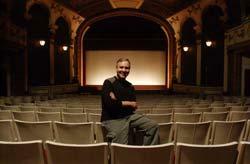 The Rhode Island International Film Festival and the Nantucket Film Festival both partnered with filmBUZZ in 2003. While I do not have access to Nantucket’s Official End-Festival Report, I do have Rhode Island’s. The results were not just fascinating, but in many ways unexpected. Before discussing the assessment, it is important to first highlight the dynamics of the festival “circuit,” from the economics to a profile of its consumers. According to the filmBUZZ research, an estimated $89MM flows through US-based film festivals in actual cash spending, while another $55MM is made available through in-kind merchandise and services. On average, 46.5 feature-length films are screened at a festival, and filmBUZZ has estimated that as many as 13,000 unique feature films are shown each year in the United States. Now here’s a unique little fact: Festivals receive the bulk of their annual operating budgets from corporate sponsors. On average, a film festival receives $99,500 from corporate entities. Ticket sales ($58,000), non-profit foundations ($51,000), individual/company donations ($38,000), and local government grants ($24,000) represent the other common sources of income. The primary uses of festival revenue are staffing ($65,000), events/parties ($20,500), and exhibition space ($15,500). Then there there’s the non-cash side. As largely non-profit entities, festivals also receive a large amount of in-kind sponsorship. With approximately 91% receiving some form of in-kind sponsorship, the average dollar value of in-kind sponsors is more than $150,000 per year. What were these in-kind services? The most common sponsorships include web design (74%), marketing services (69%), TV/Radio ad production (67%), projection/video services (64%), exhibition/theater space (62%), and food/beverage (62%). Additionally, add in car rentals, travel (air or train), and lodging, and you have a major part of your service needs covered. For those involved with economic development, filmBUZZ discovered some potent statistics that reinforce the impact of the festivals on a local community. First, they found that over the course of a year, approximately 2 Million people will attend a film festival across the United States. Additionally, a festival on average fills 11,900 seats throughout the duration of its usual run. As for the film screenings, audience members will see approximately 2 films while at the festival. filmBUZZ found that film festival audience members were far more frequent filmgoers than average audiences, and they were both highly educated, and well-informed. They were also active, dedicated independent filmgoers both in and out of the festival environment. So how do these national statistics compare with Rhode Island? Where does the Rhode Island International Film Festival stack up with Newport Beach, San Diego, Nantucket and others? Not too far off, actually. • Audience members came from a variety of educational backgrounds with 47% possessing a 4-year degree or higher and another 41% possessing an associates degree or some college education. How did people learn about the festival? • Attendance of RIIFF was largely driven by publicity and word of mouth. • Nearly half of RIIFF attendees heard about the festival through newspaper or magazine articles. Another 30% heard about the festival through friends. • and of singular importance for local artists, attendance at the festival was largely represented by local residents. • Eighty percent of audience members had a home or seasonal residence in the local Providence area. And what of the quality if the films themselves? • The average BUZZ Score at this festival was 75.6 and the average overall rating (on a 1 to 10 scale) for a film was 8.2. Documentaries represented nine of the top 10 films at the 2003 festival. But the really big news was that new film product can be discovered outside the traditional acquisition circuit, such as Sundance, Toronto, or Cannes. Many of filmBUZZ’s top 2003 films were discovered by distributors after playing successfully to regional film festival audiences. In Rhode Island that included “Unknown Soldier,” “Bonhoeffer,” “Robot Stories,” “Zero Day,” and the short animated film “Destino” which went on to an Academy Award nomination. As the recognition of the value of the film festival “circuit” takes hold within the mainstream industry, you can rest assured that it will have an impact on the product screened, funding resources, and filmmaker access. It remains to be seen how the festivals themselves will evolve to meet the upcoming challenges; of which there will be many. Perhaps the territorialism will finally morph into something that provides a more mature and efficacious policy of mutual collaboration. Only time will tell.If you want to find out more about filmBUZZ, and its services for filmmakers, not just festivals, visit their web site at www.filmBUZZmarketing.com.